When September rolls around, I have mixed feelings: Summer is pretty much over, but the trees are turning colors soon, which is a beautiful spectacle of nature. Colorado visitors and residents will be able to see the mountains of the front range become speckled with bright patches of gold from the Aspen trees changing colors, it’s quite a site. We may not have the rainbow of colors or the vast amounts of leaves of New England, however, the Aspen trees still put on an impressive display for us every year and sometimes I could swear that the trees are on fire when the yellow leaves are backlit by the sun. The leaves are changing in altitude first and then in lower altitudes. So you’ll have about a month to discover and explore this beautiful phenomenon. If you just want to jump right in, find lots of information and especially scenic drives to see fall colors here. 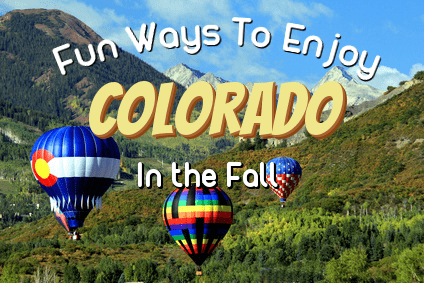 There are many ways to enjoy the fall colors and thought it would be fun to put together a few suggestions of the best way to view our short-lived fall colors in Colorado. Explore and enjoy this year’s fall display. If you want to take your time, stop when and where you want, but not necessarily brave the chilly air, then driving along many of the scenic roadways is your best option. In Southern Colorado, the drive from Colorado Springs to Cripple Creek is spectacular but needs to be done by the end of September to catch the trees at their peak. If you have plenty of time, then consider a drive from Salida to Montrose, down through Ouray, Telluride, and finally, Durango will expose you to colors and sights you could only imagine. 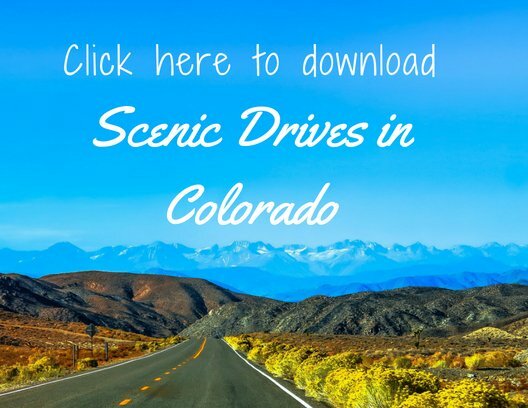 Rocky Mountain National Park is a must during any season, but for a day of splendor, plan on enjoying the drive along Old Fall River Road and Trail Ridge Road. Stop in the many parks and walk the easy, family-friendly trails. Mueller State Park is close to Colorado Springs and relatively unknown, yet offers miles and miles of mountain bike trails and hiking trails! Get lost (but not really) in the wilderness and views. Take a day trip to Buena Vista and Leadville and become surrounded by mountains and color! There are so many trails to choose from. Don’t mind being a bit chilly? Drive up to Independence Pass and hike around. Independence Pass is well-known for its many Aspen groves and should be bursting with color! 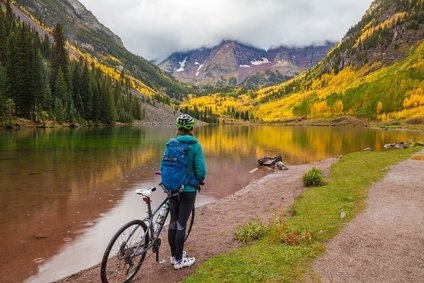 Maroon Bells is extremely popular this time of year. 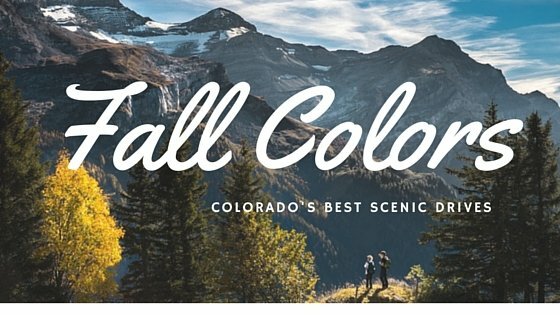 Interested in finding the best mountain bike trails in Colorado? Read here for the top 5 plus a list of all the biking trails, their ratings, and the difficulty of each. If you follow @hikingbob on Twitter, Instagram, Periscope you’ll get updated information about fall foliage here in Colorado Springs. Experience the thrill of flying through the air at the top of the world, well at least the state! 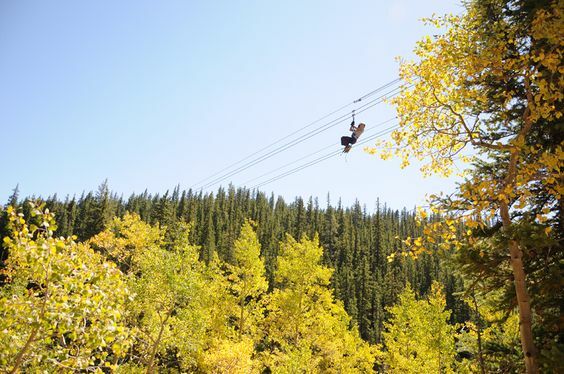 Top Of The Rockies Zip Line maintains their base camp high up in Leadville. Not only will you have spectacular views during your drive up, but then you can fill your senses with panoramic views of the fall colors as you soar over the mountains. But get up there quick! Fall colors come and go early. If the life of leisure is more your style then perhaps a visit to a hot spring will tempt you to get out and view the changing leaves. Mt. Princeton Hot Springs has the perfect perspective of the surrounding Collegiate Peaks. Strawberry Park in Steamboat Springs ins beautifully nestled in the mountains for stunning views. 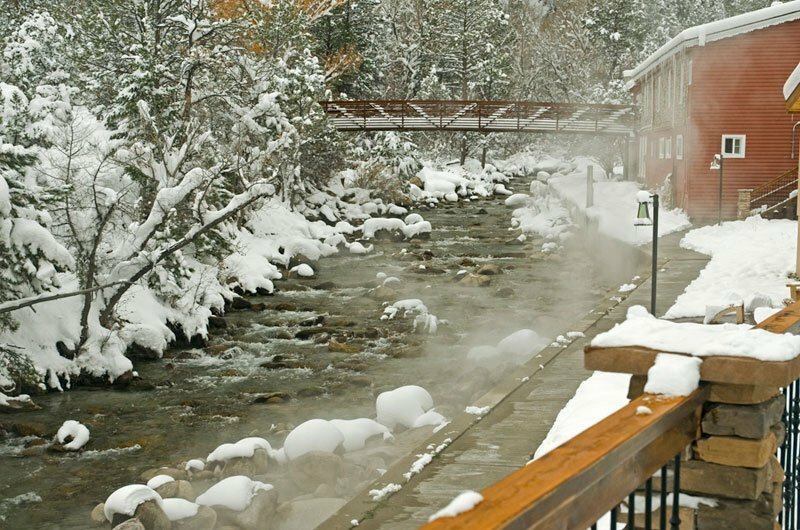 Breathtaking mountain views take you away in Ouray Hot Springs. Just the thought of riding in a train brings back the child in me. It is so exciting to ride up close to the trees, smell the air, listen to the click-clack of the metal rails, and feel the wind on my face. 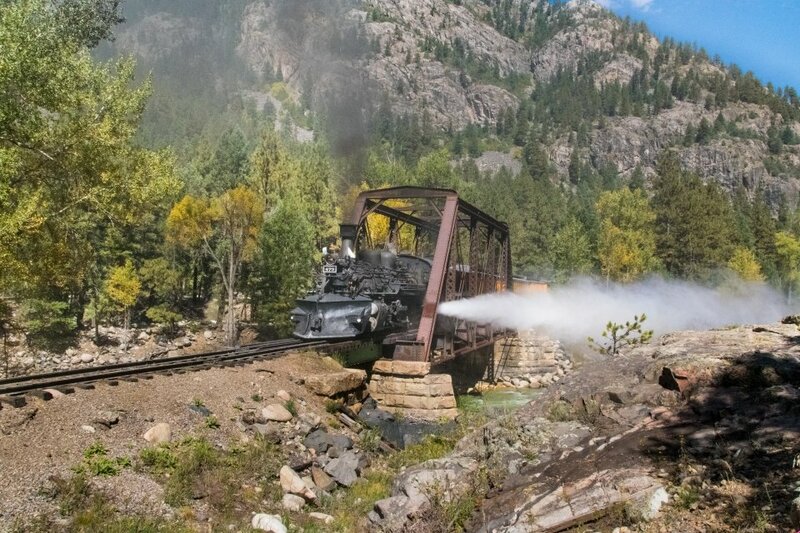 Immerse yourself in the gold and silver leaves of the aspen on a train ride, such as the Durango-Silverton train, the Royal Gorge Route, and Georgetown Loop RR. For additional train rides to consider, visit Colorado Scenic Rails and view all your options. Up, up, and away for all you folks who want the premier view! If you dare, climb in the basket of a hot air balloon for an unbeatable view. Colorado Balloon Rides is centrally located in Summit County and has the most opportunity for continuous mountain views from every direction. Wild West Ballooning is in Steamboat Springs and the vistas there are magnificent. 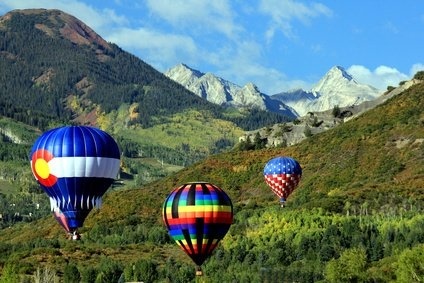 Fair Winds Balloon Flights serve the Denver, Boulder, and Estes Park areas. 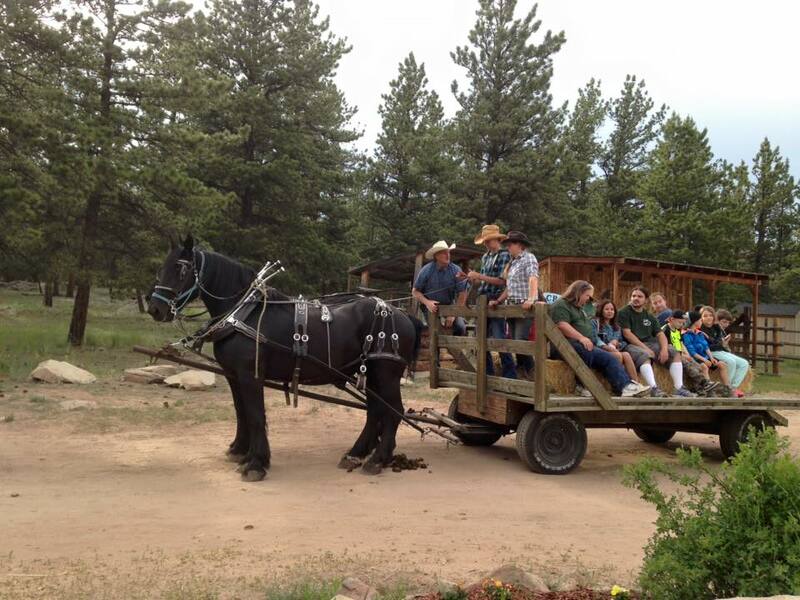 For an authentic Colorado/Old West experience we recommend pulling on your boots and having the time of your life on a hayride or horseback ride, and then top it off with a real Chuck Wagon Dinner.  MlazyC Ranch is located just West of Colorado Springs, and they do a marvelous job! Enjoy the fall leaves while making memories with your friends and family. Grand County also has hayrides, and being on the Western Slope, probably an even better view! Fall is an exciting time of year in Colorado. Instead of spending the winter wishing you could have seen the colors, make plans now to get out and enjoy the Fall! You won’t regret it. 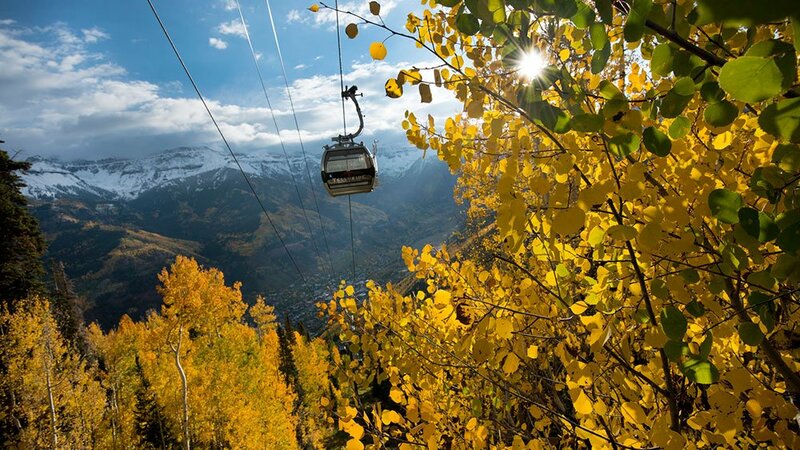 Also, we would love to hear your favorite way to enjoy the golden aspens and other fall colors of Colorado.